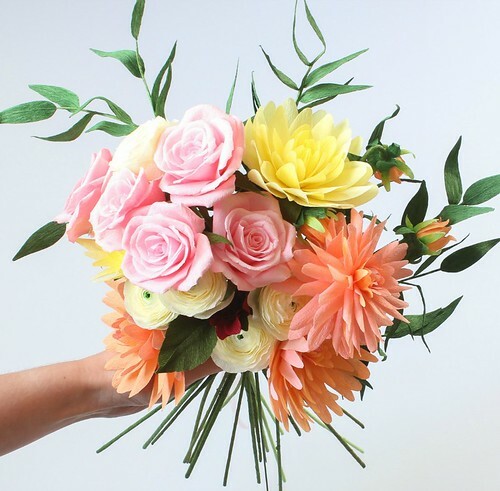 With online pals in the unseasonably warm Pacific Northwest already sharing photos of blossoming trees, I found just what I needed to counteract my jealous pangs... a summertime bouquet of crepe paper flowers made by Susan Beech of Brighton, England. Susan's flowers first flew onto the radar in November when she did a Design Sponge tutorial for making these richly colored ranunculi. While we learned a bit about her art background in that feature, I was curious why Susan was drawn to flower making and how she is preparing for the upcoming wedding season. Tell us about your start as a paper florist. 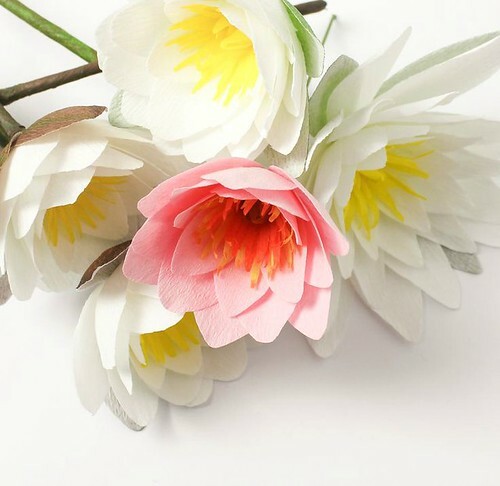 I originally came across paper flower making whilst reading a crafts magazine and was struck by the beauty, romanticism and originality of them. I was longing to move away from the digital photographic landscapes I was making and go back to using my hands to make things. When I saw the flowers, they immediately appealed so I signed up for an amazing Skillshare class. 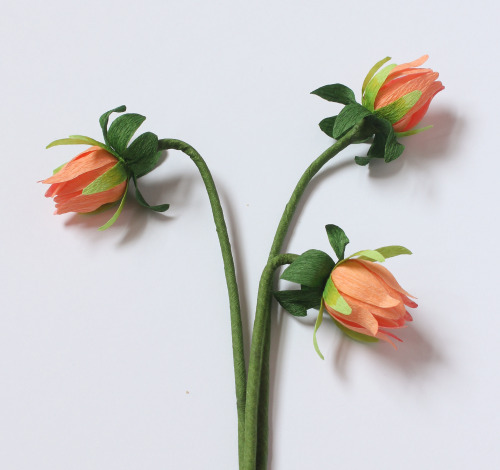 With your degree in Fine Art Printmaking, are you still practicing that too or have you turned your time and energy exclusively to flower making? I haven't done any traditional printmaking since my time at university, but I never say never. I might try to incorporate it into my work one day. 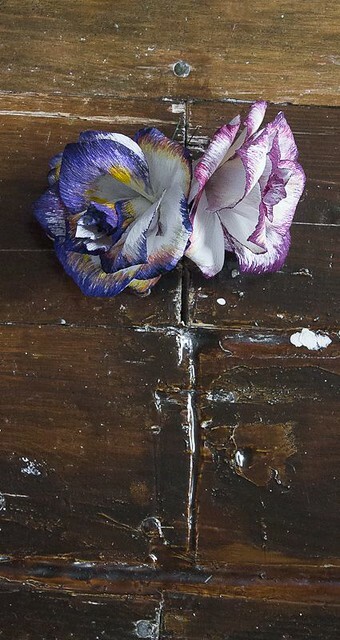 I'm currently focused on making and developing new flowers as well as fulfilling custom orders. 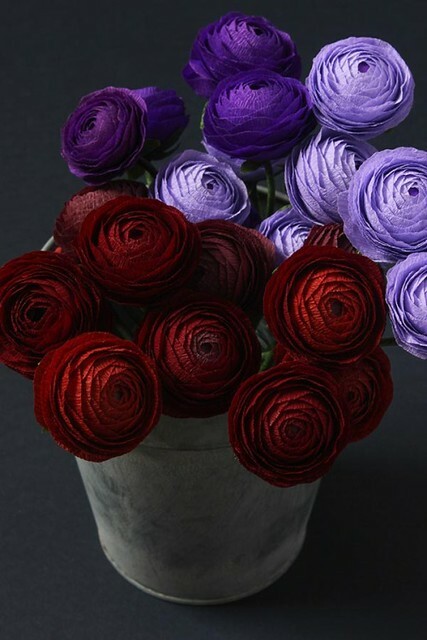 Knowing how labor intensive it is to make flowers as lush as yours, have you been able to streamline the process? I try to work assembly line-style where I can, particularly with orders, but if I'm making a new flower then things can be very slow and I will work flower by flower. Things are so much easier once you have mastered the design and you have your templates to work from... then I can get an assembly line going, but even then it's time-consuming. I have a constant long list of new flowers that I want to make, reworking my daffodils and narcissus for one, peonies, making a better dahlia. I never used to enjoy making greenery, but now I find I love it as it really finishes any flower. Arrangements and bouquets look much more natural, so more greenery is definitely on the list. 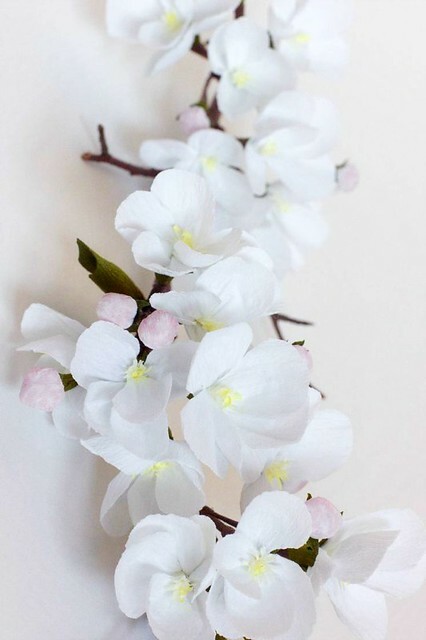 I plan to make garlands and develop additional decor for the home in the near future too. Susan, such exquisite work!!! Thank you for presenting to us a spring garden of delight. I do not have the patience to master such beautiful flowers. I will stick to my origami. I first saw this picture on your Instagram feed and had to click over and see if those flowers were actually made of paper. What a talent! Wow! These are incredible. They look so real. I particularly like the blossom - so pretty! I am in love with her Apple blossoms.